Is Probiotic Yogurt Safe for Babies? Yogurt is generally included on the list of safe first foods for babies. Yogurt provides extra calcium and protein, and active cultures that can aid your baby's digestive activity. It's mild enough that even young children should be able to digest it without much trouble. Before feeding your child yogurt, check with your baby's pediatrician. According to Frank Greer, former chairman of the American Academy of Pediatrics, babies as young as 6 months old can have their first taste of yogurt. However, the average age when you can introduce cultured dairy products into your child's solid-food diet is between 7 and 10 months. Generally, start your baby with plain, whole-milk yogurt. Many yogurt companies make a version specifically for babies that contains no artificial or potentially harmful additives. However, any natural, whole-milk yogurt -- whether store-bought or homemade -- will do. It is important to remember that your baby needs whole-milk yogurt as he needs the extra fat and calories for brain development and growth at this stage of life, according to KidsHealth.org. Serve plain yogurt to your baby initially. However, if your child balks at plain yogurt's naturally sour flavor, you can sweeten it with 1/2 to 1 teaspoon of sugar and a drop or two of vanilla extract. You can also add a small amount of fruit puree to the yogurt. Never sweeten a baby's yogurt with honey, as it isn't safe for children who are younger than 1 year old. Yogurt is excellent for your child's digestive tract. The authors of the book "Your Pregnancy Quick Guide" note that babies who regularly consume yogurt suffer from diarrhea less frequently than those who do not. That's because the good bacteria found in yogurt's live cultures keep harmful bacteria from growing in the baby's intestines. Milk proteins can cause a mild allergic reaction in certain young children. However, the Ask Dr. Sears website says that when milk is treated the proteins are less allergenic, and that yogurt should be safe for those with milk allergy. Also, live cultures break down these proteins and make them easier to digest. Regardless, if you have a family history of food allergies or asthma, seek your pediatrician's permission before feeding your baby yogurt. If the baby develops a rash, fussiness or diarrhea after consuming yogurt, discontinue use until you visit the doctor. BabyCenter.com: When Can My Baby Eat Yogurt? 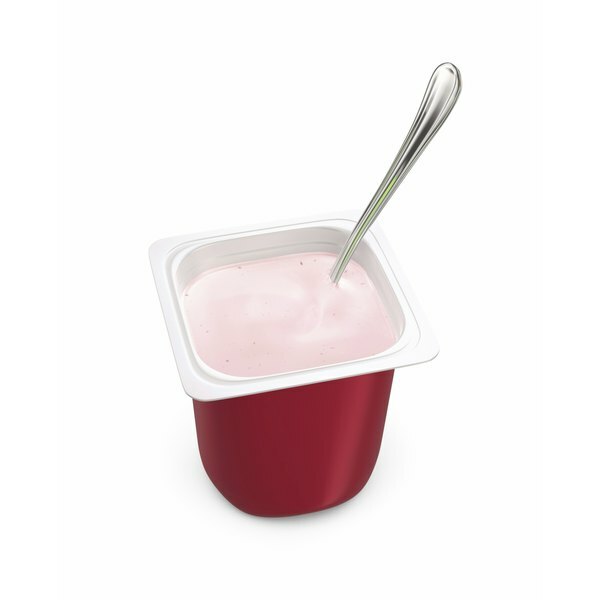 Is Yogurt Good for Losing Weight?